Jeffrey Alan Lash, Los Angeles: Late man's common-law wife left him dead in a car. 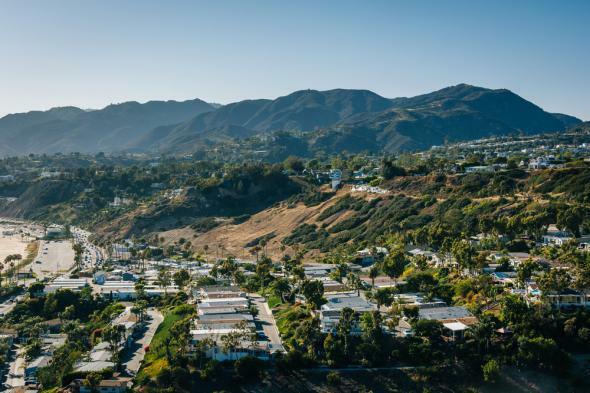 A wealthy-seeming man who was about 60 years old died in a nice part of Southern California (Pacific Palisades in L.A., specifically). That’s the normal part of this story. Everything else is not normal. The man’s body was found decomposing in a parked car. No one initially could figure out who he was. When he was tentatively identified, police found 1,200 guns and FOUR THOUSAND POUNDS OF AMMUNITION in a home belonging to his fiancée, who says she was together with the man—named Jeffrey Alan Lash—for 17 years and that she believed he was a secret agent. There are 14 vehicles registered to Lash, including one that can drive underwater. He also had $230,000 in cash. Lash’s fiancée, Catherine Nebron, was with him when he died, in the parking lot of a grocery store, and she parked his body on a street and left because he told her one of the secret agencies he worked for would pick him up. Then she went to Oregon with her friends. The L.A. Times reached a woman named Shirley Anderson, the “longtime partner of Lash’s late father,” who said that the elder Lash owned a medical laboratory and that Jeffrey Lash attended UCLA in the 1980s but dropped out and, thereafter, never told Anderson or his father where he lived or what his phone number was. Police say Jeffrey Lash had cancer when he died, though he told his fiancée/common-law wife that he was sick because he had been exposed to nerve-damaging chemicals during a mission.